Industrial Rustic Furniture or Industrial Chic Design Furniture, for the home and office, is one of the hottest styles of today. It is perfect for apartments, lofts, condos, offices, and homes. The trend has become so huge that products are actually flying off the shelves, so to speak. 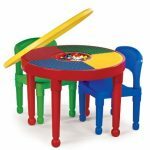 They have become the biggest sellers with furniture stores in the USA and Europe. This styling has been an out shoot to the Steampunk decor and designs that have spread so rapidly during this decade. Industrial style is a clean simple look and generally reasonably priced. This furniture design fits well on its own or mixed with other decor for a great eclectic look! Below is gathered a terrific selection to view and you can discover if this style is the one for your home or office. Included below are Industrial style bookcases, tables, chairs, stools, and more. I will be adding other pages on Industrial lighting and clocks too. Please check those out as well, and thank you for stopping by and visiting this page. 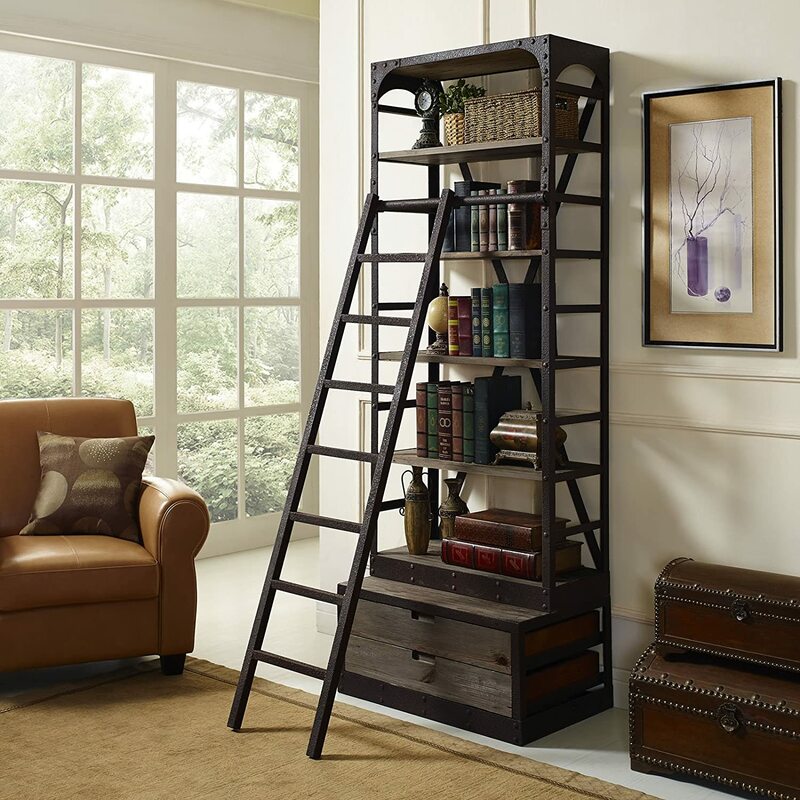 Store books, paper products, tools and more on these industrial shelves and bookcases. You’ll love the rustic appeal these add to your home or office. Get a beautiful and flexible table with OFM’s Endure Series Adjustable Height Tables. 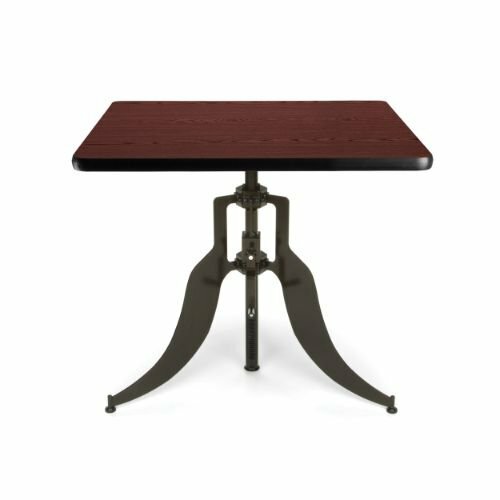 This 36″ Square table features an industrial style crank design for easy height changes so the table adjusts to your needs. The 1 1/8″ thick, high-pressure laminate top comes in your choice of finishes. Nylon leveling glides protect your floors. Use these industrial tables in a variety of spaces. You’ll love the rustic appeal they add to any room. Click on photos for details and pricing. Enjoy these in your living room, office, bedroom, etc, and add a rustic, industrial touch to any space. Click on photos for details and pricing. Starting with a contemporary classic, this pressed metal Stovall chair collection that includes two stools and one metal chair gives vintage finds a run for their money. Pristinely clean, polished and guaranteed to last, these lighthearted pieces are an industrial reinvention of Country Cottage chic. In a gun metal finish over form-pressed, spot welded metal frames, the aged look of these pieces conveys an industrial, vintage look. Color variations will occur over time with the oxidization of the metal creating its unique individual industrial character. The natural patina of the metal as well as distressing during the fabrication process results in scratches, dents and metal discoloration that are part of character of this product. 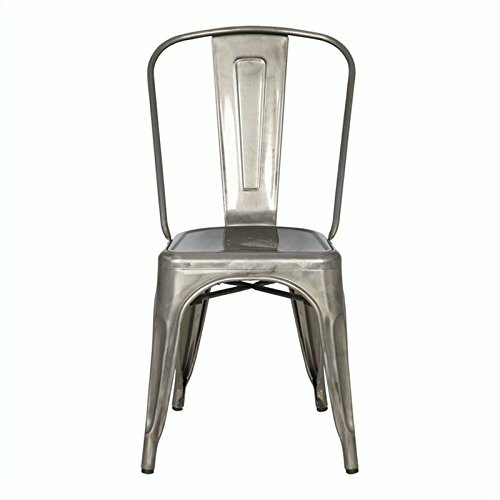 These industrial chairs and stools are ideal for any kitchen island area or home bar. Click on photos for details and pricing. 34″ Industrial Inspired Distressed Whitewash Wood and Iron Utility Cart. 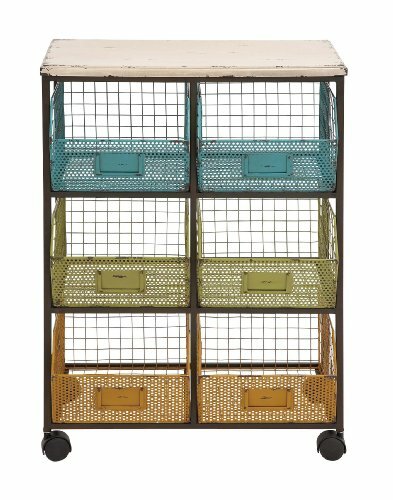 Includes six painted metal grid baskets in three rows, blue, green and orange, flush wood top on iron frame and comes with casters.